Vsftpd also known as a very secure FTP daemon is an FTP server for Unix-like systems. FTP is most widely used standard network protocol used for uploading/downloading files between two computers over a network. By default, FTP is insecure because it transmits data together with user credentials without encryption. In this tutorial, we will learn how to install Vsftpd with SSL/TLS support on Ubuntu 18.04 server. Static IP address 192.168.0.102 is configured. Before starting, you will need to create a user for FTP access. Next, you will need to perform some configurations to setup FTP server. Save and close the file. You can change the above configuration according to your needs. Next, you will need to enable SSL/TLS to encrypt the data transferred via FTP. You can not access your FTP server over SSL/TLS through browser. So, you will need to install FileZilla FTP client to access your FTP server. 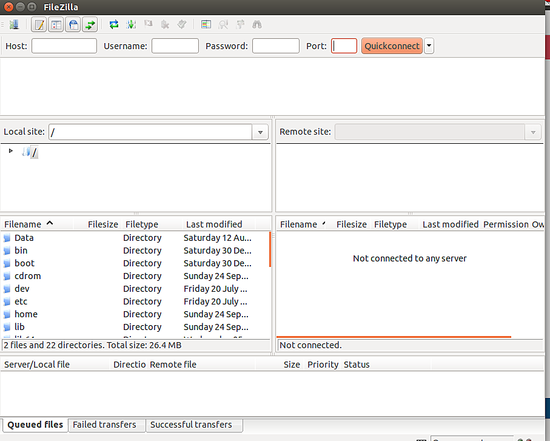 Because FileZilla supports FTP over SSL/TLS. "Now, open your web browser and type the URL ftp://92.168.0.102"
"Now, open your web browser and type the URL ftp://192.168.0.102"